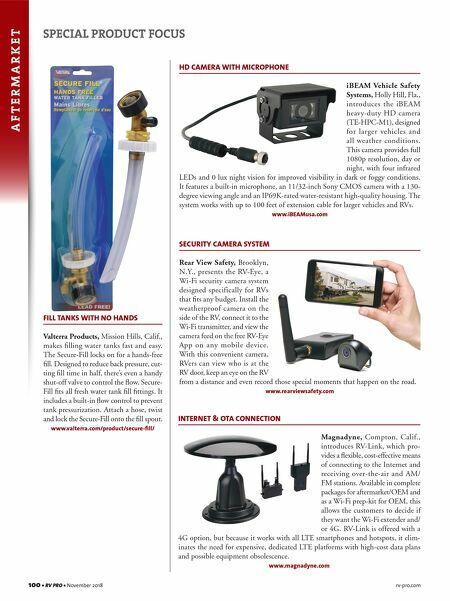 WFCO products are vital to the power supply in most RVs built today. We help keep the lights and every other 12V/110V feature running smoothly day-aer-day, WFCO Keeps the Lights On. year-aer-year. With a warranty rate under one percent you can be confident that WFCO delivers the highest quality and value in the industry. Visit WFCOelectronics.com/support to see more about WFCO support. 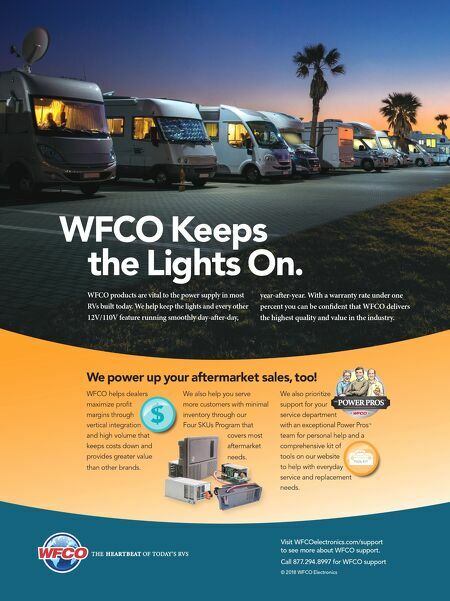 Call 877.294.8997 for WFCO support © 2018 WFCO Electronics We power up your aftermarket sales, too! We also prioritize support for your service department with an exceptional Power Pros ™ team for personal help and a comprehensive kit of tools on our website to help with everyday service and replacement needs. WFCO helps dealers maximize profit margins through vertical integration and high volume that keeps costs down and provides greater value than other brands. We also help you serve more customers with minimal inventory through our Four SKUs Program that covers most aftermarket needs.